Directed by John Rutter, this recording takes as its grand objective a collection of "hymns for all time." Drawn from the Anglican tradition without apology, many of these 21 compositions are accompanied, by anything from a single harp to the London Sinfonia Brass, though there are some a cappella chants. There is nothing stiff or abstract about these arrangements, however. The Cambridge mixed ensemble breathes a vitality into each note, and folk hymns such as "Be Thou My Vision" couldn't be lovelier. 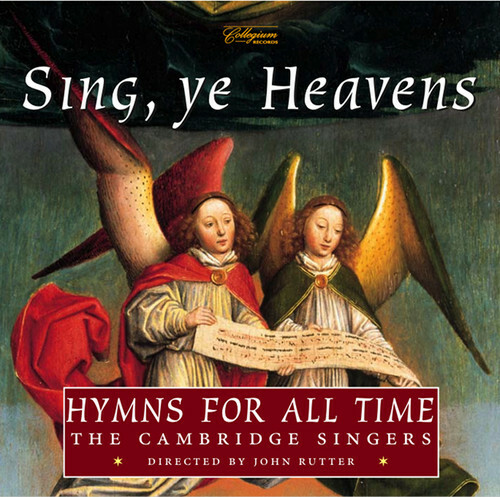 Those listeners who grew up singing these hymns in church will be especially fond of "Sing, Ye Heavens," but anyone can enjoy the purity of the sound of the Cambridge Singers.